Thank you to writing buddy and Photoshop whiz Bonnie Eaton, aka B.J. Myrick, for creating my historical research graphic. I supplied the list of resources, and she put them together with a picture of me hard at work. Bonnie knows what is involved in research as she has her own historical novel, Nelly of No Man’s Land. Once I settled on the Battle of Mine Creek, my first stop was the Emporia Public Library to see what it had on the topic. Out of a half dozen books that looked promising, I found They Deserved a Better Fate by Roy Bird to be particularly helpful as it sparked the idea for the main character and part of the plot. Learning that the Confederates had taken prisoners at the Battle of the Blue near Westport and marched south with Price’s wagon train past Mine Creek all the way to Newtonia before being set free, I knew that Hiram Pierce would be my main character and that he would be one of those prisoners. In previous Pierce saga novels, we’ve seen Hiram’s dark side. Will being a prisoner of war change him? If so, how? All of that is still to be determined as I delve into Hiram’s character, his motives for voluntarily joining the militia, and the conditions of his capture and time as a prisoner. 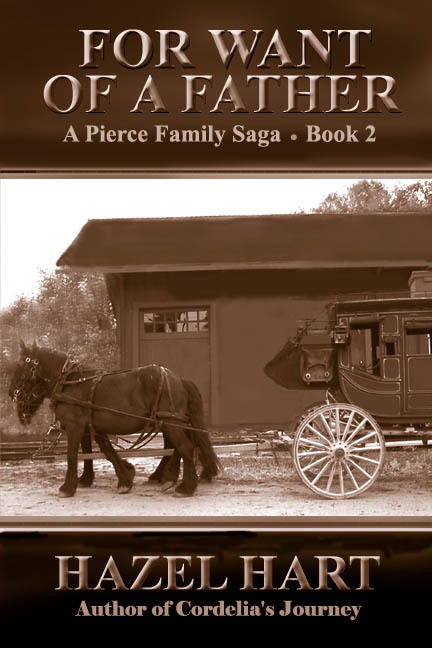 I knew as I was writing the final pages of Hiram’s Boy, that the next story in the Pierce Family Saga would have to include the Civil War. The thought was intimidating. How many battles should my characters be part of? How would I ever do all the research? Then, sometime in January 2018, I started thinking about Civil War battles fought in Kansas. A bit of research led me to the Battle of Mine Creek, which took place on October 25, 1864. When I mentioned my brilliant idea to a group of writer friends, Cheryl Unruh said, “Road trip!” I immediately said, “Yes!” We had thought to visit the Mine Creek Museum in April, but time passed without a definite date. Then on Saturday, July 7, I got a text from Cheryl saying the day was the coolest we would probably get for a while, so let’s go. And we did. The museum is in a rural area off Highway K-52 near Pleasanton, Kansas. Upon signing in, we were greeted by a member of the museum staff. I explained my interest in the battle and was handed a fabulous brochure, which I will say more about later. Then we wandered through the indoor exhibits, which included fashions, bullets, and a cannon replica, as well as large information posters about the battle sequence and soldiers involved. Then Chery and I went outside to view the battlefield. By that time, it was mid-afternoon and too warm for me to make the hike through the field and read the signs, but as you can see from the picture at the top of this post, it was a beautiful Kansas day. I didn’t look at the brochure I was given until that evening when I got home. My first reaction when I opened it was “Wow!” I still keep saying “Wow!” every time I look at it. This has got to be the absolute best, most informative brochure ever. The entire Price Campaign of 1864 is shown, along with the battles and dates from September through November. Below that map is a brief description of what happened at each point in the campaign. On the reverse side of the brochure is a detailed accounting of the actual Battle of Mine Creek. there are two large maps and two small ones, each showing different views, along with a summary of the action on the day of the battle. This one brochure gives me a wonderful timeline for presenting the action in the novel. Given what I’ve learned about the Battle of Mine Creek and what happened in the days before it was fought, I’ve found a title for Book 4 of the Pierce Family Saga: Hiram’s War. I’ll be writing more about that in the next post. In the meantime, if you are interested in learning more about this little-publicized battle on Kansas soil, check out their museum page. The research links are going to be high-priority for me as I gather more information for Hiram’s War. Now that For Want of a Father is published as an e-book and I am waiting for the proof copy of the paperback to arrive, I have some downtime to start the third book in the series, Hiram’s Boy. I am testing out Bublish, a platform for getting the word out about my books. On this site, I am able to put rough cuts of my novel-in-progress online along with my comments about the process of writing the book. Please check out my profile page and tell me what you think. Copyright © 2016-2018 Hazel Hart All rights reserved.